Who says engineers aren’t fun and jocular? This guy must be a gas at the Star Trek convention. 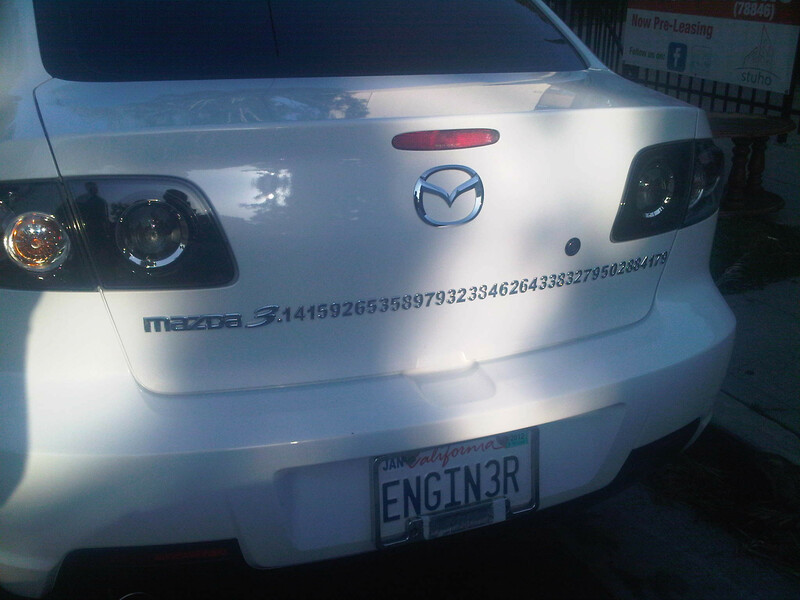 This entry was posted in Japanese and tagged Dorkiness, Mazda Pi, Pi Day, Star Trek. Bookmark the permalink.